Meet Check Points Incident Response Team and Live Upgrade to R80.10 etc. Check Point Erfa Invitation: Come and Meet Check Points Incident Response Team and Live Upgrade to R80.10 etc. CP-ERFA has the pleasure of presenting Mark Dropkin, Security Analyst, from the Check Points Incident Response Team. 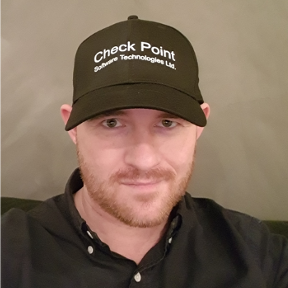 Mark will give an introduction to the Check Point Incident Response Team and tell you what they are doing and how they look at the threats that daily hit many companies around the world. After lunch, Dameon Welch-Abernathy goes "on stage" where he will take us through a R77.30 -> R80.10 upgrade. He also tell a little about the new things introduced in R80.10, eg. the API. In the same thread, JN data will tell about their experiences with their upgrade to R80.10. No later than October 27th, Niels Zimmer Poulsen. I moved this event out of the Denmark group so we can publicize it. Is it open for internal attendees as well? ?